One of the most popular spots at the college is the library. Thanks to the Collège Foundation, it was entirely renovated. Students come to read, organize team work or do some research. The library also offers a wide range of activities, such as exhibitions or students events, and can become a place of planning for different academic projects. For elementary level children, the librarian offers story time periods to promote the beauty of literature to our children. Our team take on the challenge of getting our students interested in reading, acquiring knowledge, in short, to build cultivated individuals. The college offers a service of bus transportation to our external and resident students. Over thirty buses roll around the region to carry our children to school and back home. In addition to the regular 4 pm service, a second round of fewer buses leaves at 6 pm. It allows our athletes to practise their sport after school, and our students to take advantage of our homework support service without depending on their parents. The College offers to all external students and residents a meal service every morning, noon and evening. 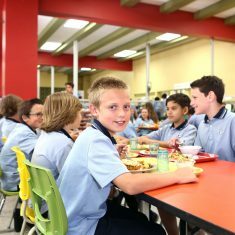 External students can enjoy hot meals for lunch. 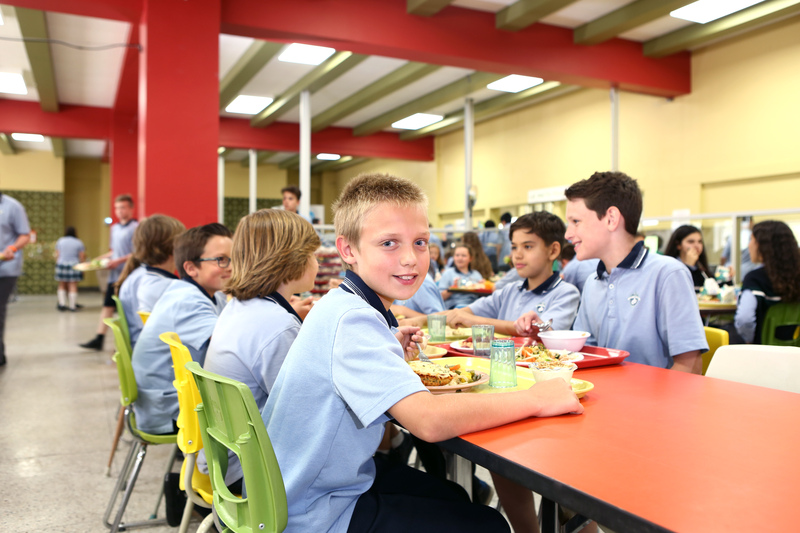 If students who live outside the college stay for extracurricular activities, they can have dinner at the cafeteria. Lunch tickets can be purchased or students can apply for half-pension. A pastoral guidance service teaches the spiritual aspect and plans activities for all the high moments of the year (Saint-Viateur, Advent and Christmas, Lent and Easter). The animators work with groups of young people to liven the environment. Values of commitment, sharing, tolerance and respect are experienced through special projects, community service and thematic conferences related to the college’s educational project. Study groups are formed, humanitarian activities are planned and students are provided with the opportunity of receiving sacrament of Confirmation preparation meetings. A room dedicated to dance and other similar activities. Moreover, enrolled students have access to the mountains’ paths and the Mont Rigaud ski slopes. Each secondary level student has an e-tablet. Teachers and counsellors use this tool to create new didactic methods that can reach students and help them evolve towards developing new skills. On the elementary level, students have access to a cart of e-tablets. Educational apps are used in French and Mathematics. A programming (coding) program is in development. With the support of the Collège Bourget Foundation, the institution established a musical training program that is now fully developed. Band and guitar practices are provided. 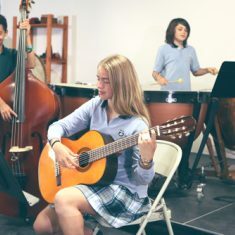 Passion programs are also designed to improve other musical talents (i.e. stage band). 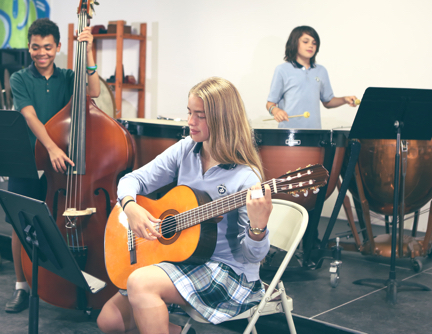 Different private music classes are also offered as extracurricular activities to the interested students.